Performer signup for the 2019 festival is officially closed. However, you may still register and will be placed on the waitlist for this year’s festival. 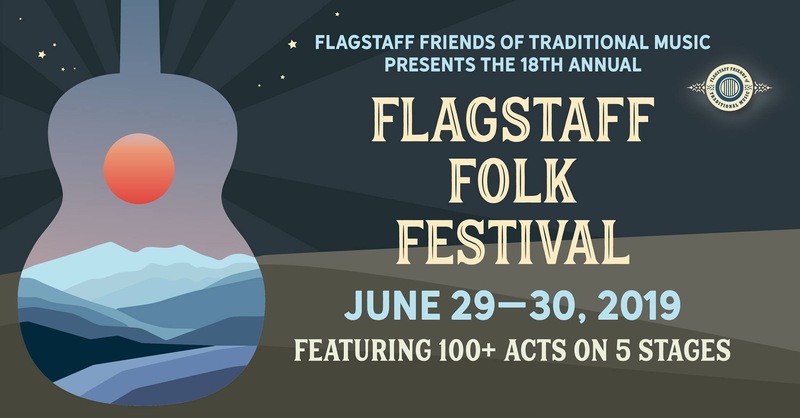 The Flagstaff Folk Festival is produced by the non-profit organization The Flagstaff Friends of Traditional Music. We feature hundreds of musicians and strive to keep our admission low. Any proceeds ensure the continued production of the event and also support our partners. For these reasons we are unable to pay musicians. Besides the opportunity to perform in front of our wonderful audiences, performers do get in to the festival for free, and have LOTS of FUN! Please note that friends and spouses still need to pay. If they want to get in free, they can register as a volunteer on this page: flagfolkfest.org/volunteering/. After you fill out this form you should get an automated email with all the info you supplied, unless you typoed your email address. Please enter only one solo performer or band per submission. If you wish to register additional performers or bands, use a new form. Fields marked with an asterisk are required. Note that no drum kits are allowed. The setup time is prohibitive. Any other questions or problems, please check the main performer page before emailing. *In what city and state do you live? If performing as a band, list any sound requirements (# of mics, plug-ins, phantom power, etc). *By checking, I understand that musicians are not paid to perform at this event.